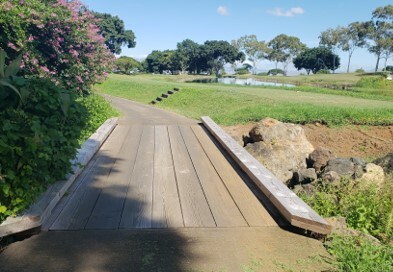 Our commitment to improve the golf experience continues with our recently completed renovation of the large pond, and our ongoing Healthy Fairways Initiative. All golf holes are back to 100% play. Lake renovation is complete. However,while we re-vegetate the edges of the lake, please play all newly planted areas as Ground Under Repair - free relief. But, if you send one into the pond, that is still considered a penalty area. Drop and stroke as usual, but be sure to drop outside the Ground Under Repair area. Many of the major TEE boxes have been leveled and re-grassed over the summer. We will continue to improve tees one at a time as the season progresses. FAIRWAYS have continuously been aggressively treated for weeds. Sprigs have been planted to encourage quick establishment of the new fairway turf. During this transition period of weed removal and establishment of new plants we will experience some thin and bare areas of turf. 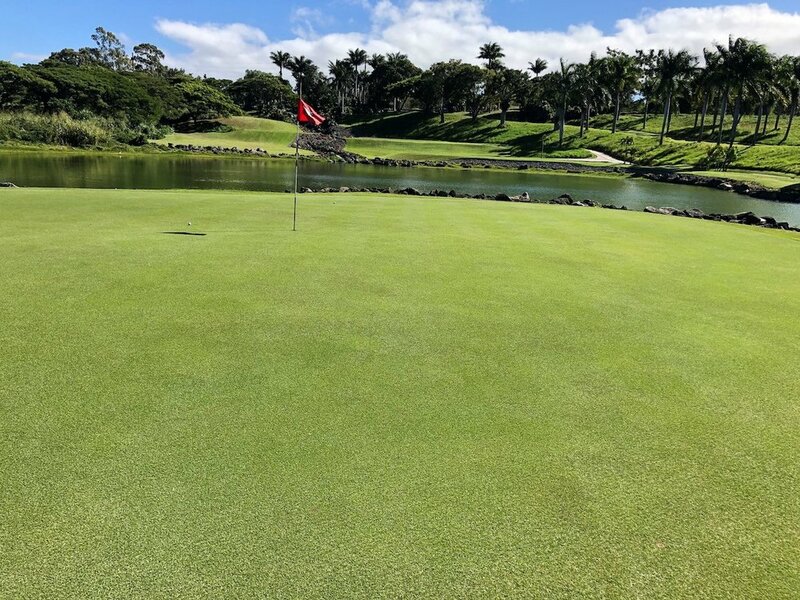 Our objective is to achieve HEALTHY FAIRWAY GRASS with consistent turf density that will hold up against weeds and provide excellent and consistent play-ability. -Using care while driving your golf car to avoid roped off areas. -Using “winter rules”, move your ball to a nearby grassed area. -Taking free relief from construction areas = Ground Under Repair. Thank you for your assistance and understanding during this improvement period. ENJOY OUR BEFORE AND AFTER GALLERY BELOW AS WE MAKE MORE IMPROVEMENTS OT THE COURSE AND GOLF EXPERIENCE.